Newcomer Family Obituaries - Robert Leroy Chapman 1947 - 2018 - Newcomer Cremations, Funerals & Receptions. 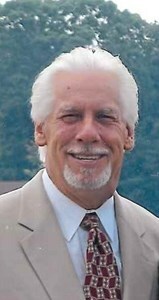 Robert L. Chapman, 71, of Akron, passed away at his home on November 21, 2018. Bob was born in Akron, Ohio and raised in Mountain View, California. He served in the Army during the Vietnam War, and was discharged as a Captain. He was a very respected man with many good friends and who loved to golf. Bob was preceded in death by his parents, Marc and Nina Sammarcelli. He will be deeply missed by his wife, Christie Chapman; son, Michael (Michelle) Chapman; grandson, Connor; step-son, Sean (Lori) Howald; brother, Bill Chapman; and extended family. Visitation will be held on Saturday, December 8, 2018 from 2pm until 4pm at Newcomer 131 N. Canton Rd., Akron. A funeral service will take place at 4pm. Inurnment will take place at Ohio Western Reserve National Cemetery on December 10, 2018 at 2pm. Add your memories to the guest book of Robert Chapman. Dear Christie and Family; I have known Bob for over thirty years and have always held him in high regard as a fellow Vietnam Veteran and a Patriot. I am sorry I was unable to visit him during the last few years, but have always had a warm space in my heart for Bob who had shared many fond moments visiting during periods of illness during my frequent bouts of MS. Bob was a very supportive Veteran, and an overall Good Soul. I loved him as a friend and am deeply sorrowed for your loss. I am sure Bob is well appointed in his corner of heaven and will be waiting patiently to greet us all when the time comes. May he Rest In Peace in the Loving arms of the Lord. God bless Him and all of the family, love Gerard. I had the pleasure of meeting Mr Chapman(that’s just what I called him) several years ago in Charlotte through Mike. He was always pleasant and always asked me how my golf career was progressing. The best thing that I can say is that no matter what he was going through, he always took time to speak to me and inquire about what was going on. It was my pleasure to meet him and to see him live in his son’s eyes. Rest In Peace Mr Chapman.